Designed to support the aft end of a dinghy mast when towing. Simply fits onto standard transom fittings and is instantly ready for use. 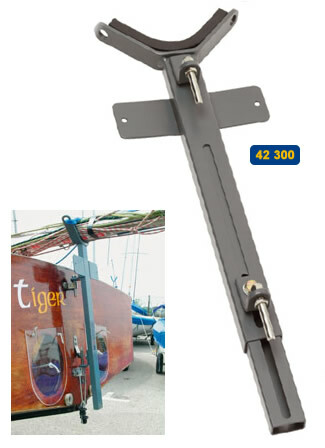 Fully adjustable for different transom heights and features a removable pintle to accommodate different transom layouts. The yolk features a soft neoprene pad to protect the mast, shrouds and lines. Generous eyelets in the yolk allow for a securing line to be easily attached. A trailer board can be fitted to the cross plate with 2 x 6mm screws (not supplied). Prevents damage to mast and deck. Single line operation for dinghies, dayboats and light cruising yachts - two drum sizes work with a common top head swivel. All have stainless steel ball races for smooth operation. Drums are moulded from glass fibre reinforced nylon with stainless steel swivel and ball bearing assemblies. Both furling drums will accept line up to 4mm diameter and part no. 42334 will hold up to 4.3m of line and part no. 42335 will hold up to 8.5m of line. Top head swivel is from machine-turned solid aluminium with stainless steel ball bearing. 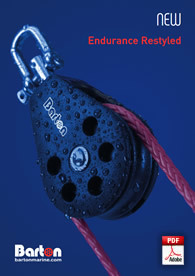 Swivel bullseye accepts lines up to12mm Ø and features a stainless steel insert and 'K' cam cleat. Fairleads with plunger and cam cleat for use on 20mm 'T' track (see here for complete range of 20mm 'T' track fittings). Sold in handed pairs. Includes budget cam cleat fixed on stainless steel plate. Sheet fairlead – a moulded plastic fixed fairlead. Spinnaker fairlead – a moulded plastic sheet fairlead with snap in/out hook design. This screw-type drain bung and sockets is among the best available. 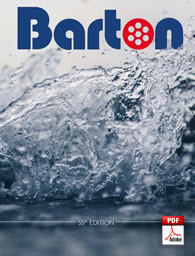 Supplied with rubber 'O' ring for a watertight seal. Available in black or white. 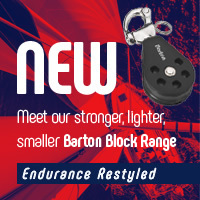 Manufactured from stainless steel with tough nylon surrounds. 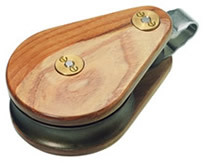 A wide range of rudder fitting widths are available. Manufactured from 16mm stainless steel plate– allows for total 50mm adjustment in 10mm steps. Clevis pin 5mm Ø. Overall length 91mm. Adjust bottom fitting and height of yolk to suit transom fittings and transom height, then tighten the locking nut. Remove bottom pintle if transom has 2 gudgeons. 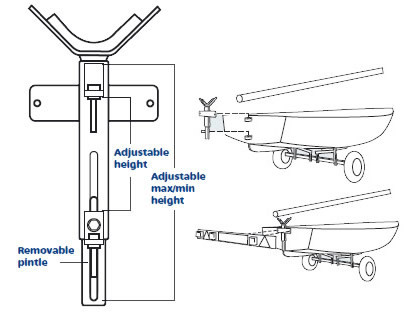 Attach trailer lighting board with 2 x 6mm fastenings.